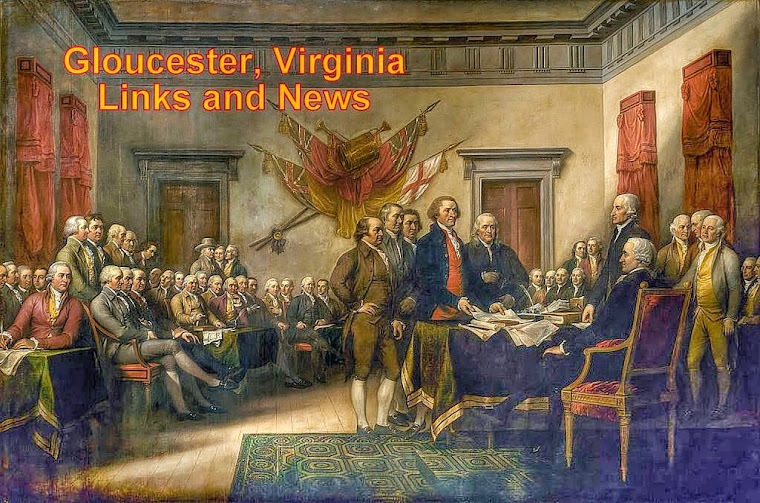 Gloucester VA Links and News: Buying and Selling With Code 666, GDP vs GNP Equals Implosion? Buying and Selling With Code 666, GDP vs GNP Equals Implosion? In Christianity, there are Bible prophecies that warn against the mark of the beast where in order to be able to buy and sell, you have to accept the mark of the beast and Christians are warned about accepting this mark. Everyone thinks that this mark is going to be some type of chip that will be implanted into the human body or some type of payment card that will have the mark of the beast already on it. Claims have been made that credit and debit cards are part of this mark so cash should be maintained and used in their place. What most people do not realize is the fact that the mark has already been put out years ago and that just about every person has in fact accepted the mark and it's darn near impossible to buy and or sell without this mark. It's called the UPC code. 666 is marked into every single UPC code we have checked. It's not in the numbers that are read on the UPC code, but instead in the very beginning, the middle split and the very end of every UPC code. 6 is represented by two thin lines together. In evaluating a good number of UPC codes, determining that 6 is represented by two thin lines together was not always clear as the numbers underneath many UPC codes do not always match up. One has to check numerous UPC codes to finally realize that the 6 is in fact two thin lines together. Seeing the code of 666 on each UPC bar code. The first 6 is represented by two thin lines that are longer in length than the majority of the code. The next 6 is directly in the middle of the UPC code and is again longer in length than the first series of numbers and the second set of numbers on the UPC bar code. The last 6 is again represented by two thin lines that are once again longer than the rest of the UPC code. 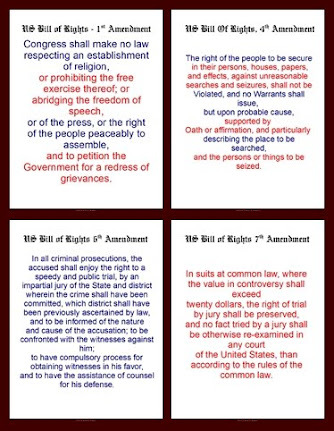 Here is the technical reasoning given to us as to what the above is meant to represent. The 6 that is at the start is called a guard bar for the left and right hand sides of the code. The center 6 is called a tall center bar pattern and though not called a guard bar, still acts as a guard bar separating the first set of numbers from the second set of numbers. 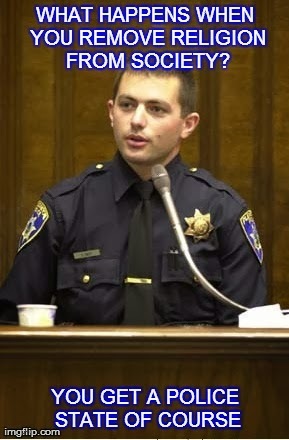 Now because these guard bars are called and considered guard bars, a denial that these guard bars are anything other than a control system can be argued by those who designed the system. Our argument. The lines of the guard bars are the same exact width as the number 6 in the UPC system. Any other number could have been used for those control guard bars. 111 or 222 or 333 or 123 to a full spectrum of 999 different choices could have been used for the guards. Why was 6 picked in a sequence of 3 or the representation of 666 used? They built in a second argument that still does not stand up to the light of day. 1, represented as a single thick line would have made a better representation guard bar. But that is not the second argument. Each number is represented by a series of lines that represent either a yes or no answer in a sequence of 0's and or 1's. In other words, using binary code sequencing. Each number is turned into a 7 digit binary yes/no code. Now to confuse the matter even further, there are two ways to write each number. 1,2,3 fall under what is called an S2 module. 4 and 5 is a B2 module. 6 is an S1 module. 7 is a B1 module. There are no modules given for 8,9 or 0. The way that digits or numbers are turned into bars for scanners to read is represented by two dark bars and two light bars filling spaces divided into 7 equal parts. (How many of you are now confessing to being lost already?) And you think we are done yet? No way. So now they can argue that since 1,2 and 3 are all under one module, that the control bar could create a level of confusion for the entire system and the same could be said for 4 and 5. That leaves only 6 and 7 left for the controls. Remember, there are no modules for 8,9 or 0. 7's module is represented by two single thin bars as well. But they are spaced apart further than 6. For the purposes of space, they can argue that 6 worked out much better than 7 for the control guard bars. (Really?) The argument still remains that the control guard bars, because they are longer and never read by the scanners are not 6's at all. Well the same can then be said about 1's or any other number. So for the sake of argument, it's not only the width of each bar, but it's length as well for what is read and what is not read when scanning any given product. Further arguments can be made that 8, 9 or zero should have been used since there are no modules for those numbers. Or even further, a special bar could have been created that did not represent any of the numbers whatsoever and used as control guard bars. So again, why are the guard bars matching the number 6 and representing 666 on everything with a bar code or UPC? Oh wait, they are not sixes. We forgot. (You look at the information on any UPC and tell us they do not represent six in the guard bars). Source Information on Bar Codes: Reading The Numbers by Mary Blocksma, Penguin Books: Copyright 1989. So our information on UPC codes is somewhat outdated. The UPC code system has grown tremendously and may now contain a new module for 8,9 and 0. The other information we did not include in the above did not relate to the 66 6 code so there was not reason to explain the rest. The 666 code still remains on all UPC labels when it could have easily been changed to a bar that did not represent any digits or numbers. Now here is the dilemma for Christians. If the UPC code is the mark of the beast, then what? Well we have to break this down even further. What does the UPC system give us? It gives us GDP as well as GNP. Gross Domestic Product which is the sum total of goods produced in the United States and GNP, Gross National Products or an inventory of goods flowing through the land. It's an accounting system. An accounting system is neither good nor bad but can be used for either good or bad. Oh by the way, GDP and GNP is a big part of how money is valued. We the people who produce or do not produce? There is nothing else backing the currency other than GDP and GNP or so we are told. Federal Reserve Notes backed by the good faith of ???? We the people. Your spending or lack thereof, contributes to either or both GDP and GNP. If you are not spending, you are not contributing. What you spend your money on is a determining factor. If you spend your money on imported goods, you are contributing to GNP. If you are buying domestic goods, you are contributing to GDP. This is how the government is able to blame the people for ruining the economy. But you have no control on where items come from or how or where they are produced. UPC also tells us what is selling and what goods are needed in certain areas and allows companies to deliver goods faster than ever. 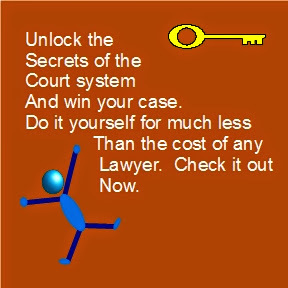 Does that make the entire system bad? No. Does it make it good? No. It just makes delivering of goods to areas faster and tells us the state of the economy at any given time. At least that is the simple selling point of it all. Where the Bible comes in. The code of 666 in the UPC may be telling. It would suggest that those who are running the system have a different belief system than the masses of the country as a whole. If you believe that the media serves interests that are not in line with your own, such as TV shows and movies that present less than ideal morals and values, that our food supply is less than maximum nutritional value or even have much in the line of nutritional value, that news channels may promote immorality instead of feeding us with proper morality, that our health care system may not be all that healthy, that the music piped to us all day long may not be in our best interests, that talk radio promotes ideals we do not quite agree with and the list can go on forever, then we might just be feeding the system we do not want. I'm not a fundamentalist Christian and have no dogma to propagate so I do not see things the way a fundamentalist Christian will see them. What I am suggesting however is that the UPC system may be marked with 666 and may be the system that the Bible was talking about and that the few times Christ ever got really mad, one of them was in dealing with the money changers, (The bankers), the Bible may be telling us that the reason not to accept the system is because you are feeding the hand that is destroying you. But you didn't even know it was already in place and you have been told that we are still watching and waiting for it to come. Just a thought. I could be wrong. Shall we wait and see? HOW DO YOU DESTROY AN ECONOMY? Decrease GDP, (Gross Domestic Product) and increase GNP, (Gross National Product). In order to consume imported goods, you must outproduce and export more than you import and consume. Increasing GNP is through the natural growth of GDP. Cut GDP and you naturally cut GNP. You can sustain the image of growth through the increase of GNP for awhile, but it is only an illusion. How do you destroy the world's economic system? You centralize GDP into the worlds most populated center. (China?) You decentralize world GNP. Again, this can be sustained for awhile, but again, it is only an illusion. You can not consume more than you produce. It's like trying to eat more food than you have on hand. How can anyone do that? It's like having one small hamburger that has to feed 5 people and you still have to give a big chunk of it to the government for your tax liability. How are you going to eat more than what you have? Each time a manufacturing plant is closed in any country, it's at the theft of the people of that country. The demand for so many things is everywhere and yet there are so many people unemployed that could be producing goods for themselves as well as others. What gives? We are told that there is only a finite amount of resources. I look out my window and see no shortage of resources anywhere, just a shortage of production using the massive amounts of resources all around us. Here is the inside trick. Once you burst the bubble above, there is no other option left than to create a one world system. Or is that the only option? Money is not the real power. Transportation is not the real power. These are mere tools. Information is the real power. The lack of information is the control over those who do not have the answers. Give a person a fish and that person will eat one meal. Teach a person how to fish and that person will eat for a lifetime. The good news in all of this, if you wish to call it that, is that once the super rich are done feeding off the backs of the poor and the middle class, they can only turn on each other to feed. Is that why we have seen 8 International bankers commit suicide in the past 2 weeks? If this is where we are at, we are going to be seeing a number of bankers and industrialists doing this as they are now forced to turn on each other for survival as they know no other way out. How these people bought the lies of easy money and prosperity by feeding off the backs of others is beyond me. They never looked at the long term consequences of their actions which predicted their own doom. The writing was always there. How the people are blinded by greed. There is nothing wrong with riches so long as they are honestly deserved. Most in the highest places these days though have not gotten there by honest means. They have the illusion that they can maintain their positions though. They believe they have supernatural powers behind them to hold them there. It's the supernatural powers that got them there to begin with. Now what if evil is a necessary part of life? How can one say that? An example is light, it has the ability to nourish, heal, harm as well as kill. Sound also has the ability to nourish, heal, harm or kill. Water has the ability to nourish, heal, harm or kill. Air has the ability to nourish, heal, harm or kill as well. If God is all powerful and all knowing, then he had to know when and how to create evil. Are we not told we are the children of God? As parents we do our best to raise our children properly and teach them right from wrong. Would it not also be in God's best interest to teach us right from wrong and put a way in place for him to do so for us to learn? If you come to realize what Satan's place really is, then one has to love him and what he does. Not in the sense that he should be worshiped or followed by any means. But loved for the gifts of his part in our own teachings of right and wrong. As strange as it may sound, he may just join everyone in heaven as one of the finest actors ever, playing his part perfectly. In the mean time, is it not our own part to let those leading us know when they are not doing what is right and what is wrong? It would seem as though we let the bullies take over the play yard and without much of a fight. Even the bullies are God's children who must learn right from wrong and held accountable for their actions. Are we not our brothers keeper? Love the sinner, hate the sin? If this holds true, should we not pray for Satan? (Not to, but for). Now let's look at more facts. Not that the video does not present good arguments against the claims. We argued that any other pattern could have been used that does not look like a 6 in the guard bars or that the guard bars could have been made in a width not representative in any of the digits or numbers. The above video appears to be a very poor attempt to discredit the concept. 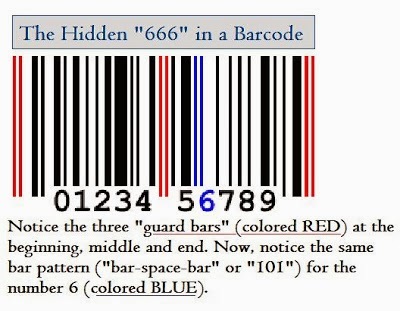 Now I am open to valid credibility against the bar code being anything other than 666 in those guard sections. I have yet to find anything valid on it though. Since the guard bars each include two bars, and each of the 12 digits of the UPC-A barcode consists of two (wide) bars and two (wide) spaces, all UPC-A barcodes consist of exactly (3 × 2) + (12 × 2) = 30 (wide) bars, of which 24 represent numerical digits and 6 represent guard bars. Still not a valid argument for the 666, yet not a valid argument against the 666. However, when you go further down the page, there is a screenshot explaining the way that the guard bars are read or not read. Arguments can be made either for or against the 666 and it was designed that way from it's inception. A final word on the matter is simply this, it has the appearance of being a 666 representation and it could have easily been fixed a long time ago to change that appearance but no one done so. Why. They knew about it from inception. PricewaterhouseCoopers PDF document showing concerns at development of the UPC over the mark of the beast. You may want to see who was really behind the entire UPC code push. Rather interesting names come up along with special interests? Ya think? IBM developed the code. Anyone know what codes IBM developed during world war 2? You might want to take a look. Link to more information regarding product manufacturers country codes. On to bigger issues. As mentioned above about GDP and GNP. Here are the actual figures. US GNP 16067.40 US. third quarter 2013. That is just the third quarter. Third quarter GNP is nearly as much as all of 2012 GDP. GNP is nearly 4 times GDP. That simply spells implosion by design. Month of December US exports vs US imports below. That is nearly a 39 Billion dollar deficit for one month and does not include tax liabilities or interest payment requirements nor transportation nor storage costs. Federalist Papers No. 38. The Same Subject Continued, and the Incoherence of the Objections to the New Plan Exposed. The Wiki piece is not actually saying that the guard bars each are equal to number 6, just that all together they consist of 6 bars and numbers consist of 24 bars. You may want to consult the ciphers to see that your point just may not prove valid. But thanks all the same.